Raymond Johnson, PA-C is a certified Physician Assistant. 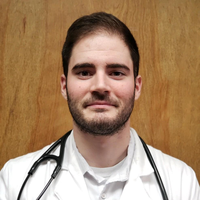 He completed his undergraduate as well as his Master of Physician Assistant Studies at Duquesne University. Raymond completed clinical rotations in Surgery, Pediatrics, Internal Medicine, Family Medicine, Emergency Medicine, and Behavioral Health. He joined Advanced Allergy & Asthma in 2017.